The said guide, according to the hikers, was a first timer who accompanied another lead guide. The mountaineers contributed to the medical expenses, but according to them, the barangay officials demanded that they shoulder the all the medical expenses of the guide. This unfortunate incident highlights the reality of hunting traps especially in unexplored areas. Just a few months ago, mountaineer Joey Vergara had a similar mishap in Mt. Malipunyo. Normally, the best recourse in hunting areas is to get local guides but as this incident demonstrates, sometimes not even the locals are aware about the location of these traps. Another issue here is the question of who is responsible for the guide during the hike. If your guide gets injured while guiding you, is it your responsibility to shoulder all of his medical expenses? Because guiding in the Philippines is oftentimes an informal agreement, there is no definite answer to this question although others have pointed out that hikers have a responsibility by virtue by the legal concept of being ‘captain of the ship’. Because guide injuries are very rare, there is little precedent for this. At around 0200H on September 16, 2013, thirteen hikers were rescued in Mt. Makiling, including Ralph Rance, who wrote to us about their experience. The group had attempted a Makiling Traverse on the previous day but they were able to start at 1000H. They were accompanied by a guide only until Station 7 (where the Sipit and Palanggana Trail meets), and beyond that, they followed the trail on their own. Apparently, none of them have previously done Makiling Traverse before. On the other hand, they were allegedly assured by the guide that the “it is just a short distance from Station 7 up to the peak” and “it will only take them 2-3 hours to get down”. Sir Erwin of Sto. Tomas MENRO, however, contradicted this account, saying that the guide wanted to accompany them all the way to UPLB, but they refused, saying they have already done it before. By all accounts, however, it was not to be a smooth trek to Los Banos. Darkness came as they tried to make their way through the traverse trail. With only one headlamp, they group struggled, and the group spoke of limatik entering their eyes amid the heavy rains. Fortunately they were able to contact, through their friends, the rangers and police at UPLB who promptly rescued them and by early morning of Monday they were safely in Los Banos, Laguna. The Mt. 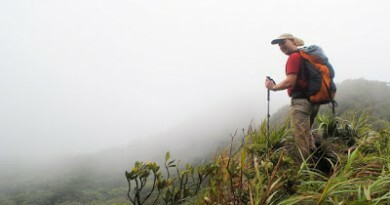 Makiling Traverse should not be attempted by first timers without being accompanied by hikers who have done it before or guides that will accompany them all the way. Moreover, any dayhike can turn into a nighttrek so this incident should remind all of us to bring headlamps and other emergency stuff like first aid kits, whistles, and fully-charged cellphones at all times Fortunately – in an ironic way – the UPLB rangers and police are experienced in rescue operations in Mt. 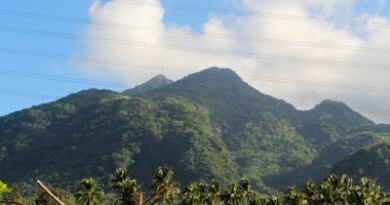 Makiling, as several similar cases happen every year. Hopefully, we can avoid more of these incidents in the future. 3 Comments on "Mountain News: Wild boar trap injures guide in Mt. 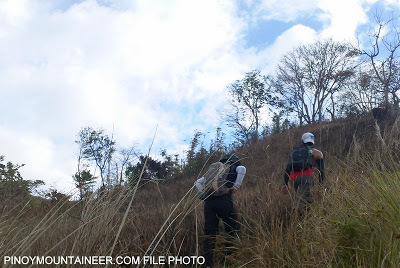 Batolusong / 13 hikers rescued in Mt. Makiling"
halos lahat kasi kapag sinabing dayhike eh chill chill lang at iniisip na dayhike kaya hndi aabutin ng gabi, kaya ang nangyayari eh hndi nagdadala ng headlamp. pro sana yung organizer nung climb na yan eh nagsabi na magdala ng headlamp o flashlight man lang, emergency fud kung sakali maligaw. safety dapat ng mga participants ang dapat isipin. Siguro ayan din yung naging Guide namin nung first time kami nag Maktrav 2011, pero mas matindi to, kasi sa Station 7 pa lang iniwan na sila, kami sa peak 3 kami na scam ng guide, sabi ayun na daw ang peak 2 at descend na daw to Los banos.Lessons learned: Wag masyadong magtiwala sa guide. 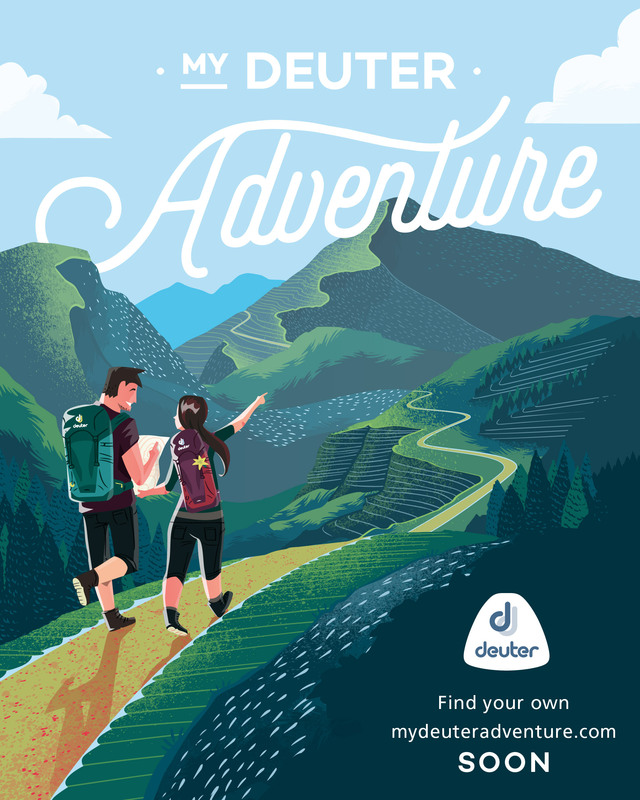 Personally… if I hire a guide,then for the duration of the trip he/she is my employee and I am obligated, ethically if not legally, to take care of him/her. That's true even if the incident is arguably his "fault". If I hire a household helper and he/she falls down the stairs and breaks his/her arm, it would be pretty nasty of me to refuse treatment on the grounds that the helper was clumsy. If there was outright negligence or incompetence involved maybe a different story… but still, if it's a case of either I pay or the person goes untreated, I'll pay. Bit of a common decency thing involved.